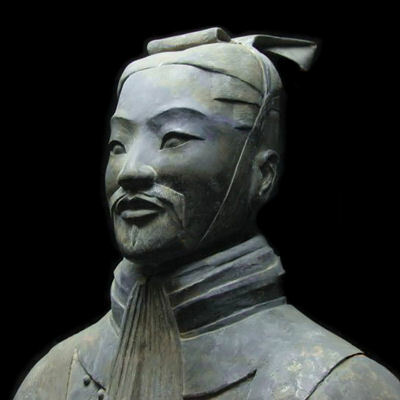 “Victorious warriors win first and then go to war; defeated warriors go to war first and then seek to win.” So wrote Sun-Tzu in The Art of War. What then is to be made of Phil Clarke’s latest attempts to course-correct the UK’s retail behemoth? Tesco’s world tour into Asia, the US, Europe, etc is in full-scale retreat with the Turkish operations’ restructure, the latest acceptance of failure. The non-crisis crisis in Tesco Polska will inevitably lead to divestment. If anyone was in doubt: the world tour is over. Tesco went big; they are now coming home. But while they were travelling, home changed. New competitors, formats and shopping habits have destabilised the core model. Hypermarkets are struggling. Tesco can’t revamp the retail estate quickly enough, and capital expenditure cuts along with foresaking their 5.2% margin promise mean strategy is being sacrificed to tactics, most notably £200 million of price cuts. This is wallpaper. Asda had already announced £200 million of price cuts themselves and has since added another £100 million to the fire. What no one else seems to have realised, and based on pure market share extrapolation, is every £1 of price cuts Asda initiates costs Tesco nearly £2. So Tesco’s announcement just doesn’t cut it. And let’s be frank, if the answer to your problems is to pick a fight with the world’s biggest price-focused retailer, you are dead before you start. Walmart’s pockets are deeper globally and shallower locally: they can stay the fight for longer, and it will cost them less. Not forgetting, Tesco is hamstrung with Clubcard. The shining star of the 1990s Clubcard may fast become Tesco’s Tazo. (remember Tazos?). Affordable in times of growth, Clubcard risks becoming an expensive gimmick obstructing visible value delivery. Worse still, with Tesco now accepting other retailers’ vouchers, expect Asda, Sainsburys and Aldi to start dropping vouchers around Tesco stores in areas where they aren't trading. Ouch. Back to the end of the margin promise and no new commitment as to where the clock will get reset. The city vultures were already circling over the UK’s big three listed retailers to leverage out their property assets. This will now intensify: the repercussions may be profound. The first move could well be “Coupe’s coup”. Sainsburys may use the cash pile generated to buy Morrisons and put themselves neck and neck with Tesco for the number one spot. This is the last big domestic grocery deal left and Coupe has to do something bold to make his mark. But liberated from their strong property asset based underpinnings, Sainsburys and Tesco will be left with big, cost hungry, unfocused (sorry, omnichannel) businesses under ever-increasing margin pressure facing up to a world of giants: Walmart, who won yesterday, Aldi who are winning today and Amazon, who stand to win tomorrow. In response to all of this, Tesco jobs will go; the cuts have already begun. Expensive talent is being removed and the business is increasingly in the hands of younger, lower-cost managers lacking the experience to win the fight they face. Compare this to the vast array of Princeton, Harvard, and Oxbridge MBAs now stalking the corridors of Amazon UK along with the senior, proven buying talent fresh from Tesco and Asda. What else can Tesco do? Well...whilst there is no Chinese medicine to fix these structural shifts in retailing, there is a compelling need to adopt new ways of working and breakout of historic operating cost structures. The race is on to take leverage big-data enabled technologies and take an axe to retail back office cost structures. This will support a delayering of centre organizations, driving back-end costs down dramatically and allow bricks and mortar retailers to reconfigure and reinvest in store service and this is the critical point of difference to online competitors. Sun Tzu also noted, “There is no instance of a country having benefited from prolonged warfare,” and Tesco faces prolonged war on every front with increasingly formidable rivals. Interesting times.